Split down the middle with cardinal and gold on one side, blue and white on the other, Ingersoll Stadium was the scene for the renewal of the rivalry vows between Capital High School and Olympia High in the annual Spaghetti Bowl match-up between the Bears and Cougars football teams. 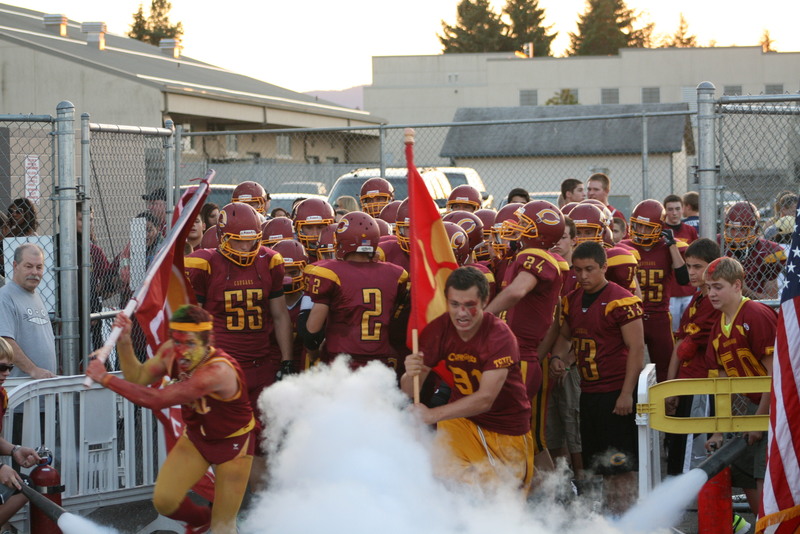 After losing last year’s game 10-7, the Cougars rebounded for a resounding 19-0 win over their cross town rivals. Over 6,000 people crammed into Ingersoll Stadium and onto the surrounding track on Friday, Sept. 7.